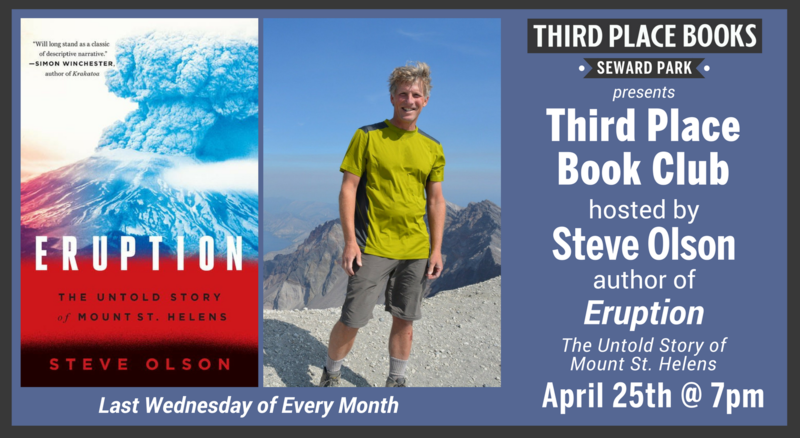 Join local author Steve Olson for a discussion on his book, Eruption: The Untold Story of Mount St. Helens. Drink specials are available from Raconteur during book clubs and author readings, so grab a glass and join us for a lively literary discussion. Every month our selected titles are discounted 20% through the date of the book club. All are welcome, no purchase required. Steve Olson is the author of Eruption, Mapping Human History (a finalist for the National Book Award), Count Down, and other books. He lives in Seattle, Washington.